We all know time goes by so quickly. One of the only ways we can actually freeze moments of time is through photography. The photos that adorn my walls or sit in frames on my bookshelves all have the ability to remind me of moments in time I will cherish forever. I always marvel at a photographer's ability to capture even one frame-worthy photo of my family as there are always so many variables (wind, melt-downs, trying to get 4 kids to sit still and LOOK AT THE CAMERA for goodness sake)! However, with a well-trained eye, a lot of patience and a steady hand, someway, somehow, a good photographer can usually make it happen. 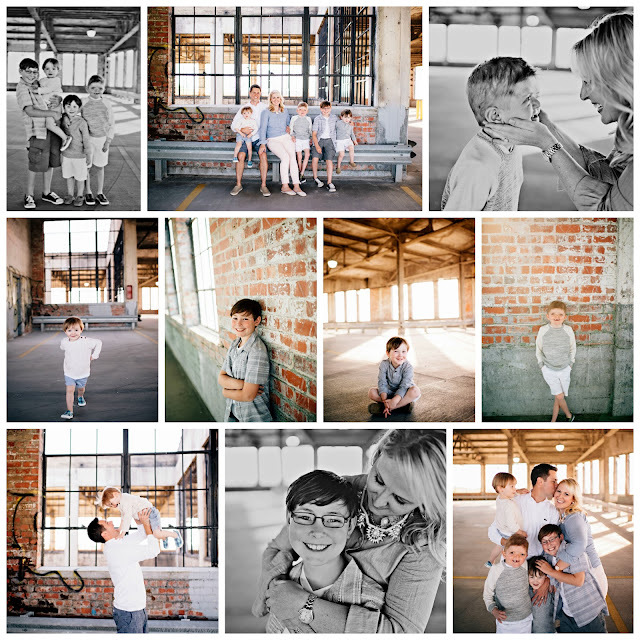 Cara Althaus is a dear friend of mine who happens to take some of the most beautiful family photos I've ever seen. Her interest in photography was sparked during her high school years, but it wasn't until she became a mom that it turned into something more. After graduating from college with a degree in fashion merchandising, she had a few jobs, but ultimately became a stay-at-home-mom after the birth of her first daughter, Reese. As she began to take more and more photos of her own children, her love for capturing those special family moments once again began to take shape. After learning more about the art through a mentoring session, Caroline Couture Photography took shape and became a flexible way for her to fulfill the need to be creative while not missing any moments with her own family. Now, as mother of two beautiful girls (second daughter Ella just turned 2), Cara is the perfect example of how motherhood often ignites our passions. Read below to learn one of her most memorable sessions as a photographer, and laugh along with one of her "mom fail" moments that we can all probably relate to! LIM: What did you want to be when you grew up? How did that change through the years? CARA: When I was really young I distinctly remember saying I wanted to be a zoo keeper, which I can not imagine doing now! I can remember always being drawn to creative type ideas of what I wanted to be when I grew up. As I got older, I thought I wanted to do something with fashion which is what I ended up majoring in in college, fashion merchandising. Once I graduated from college, I worked in retail management and quickly realized the hours were not for me. I then worked in sales but when my first daughter was born, I knew I wanted flexibility in a career to be able to spend the most time with her as possible. LIM: When did you start getting interested in photography and when did Caroline Couture come about? CARA: Photography is something that started to interest me in high school when I took a photography class. It was put aside for many years until my first daughter was born and I bought an entry level camera to take photos of her, having no idea what I was doing. When my oldest daughter was two, the opportunity arose to do one on one mentoring with a talented wedding photographer that had photographed my sister's wedding. I jumped on the chance and began learning my camera, posing, interacting with clients and other important things I needed to know. At that point I started shooting friends and their families and my own daughter, learning my camera as I went. 2012 is when I began taking on some clients and my business has grown from there, adding more and more families each year. LIM: Tell me about your most memorable moment as a photographer. CARA: There are so many memorable moments when I'm photographing families. Little interactions between moms and their little ones always seem to be my favorite. My favorite memory in particular is when my best friend Sherah's little boy Gabe was born. I was there with her to photograph his arrival. We had known for quite some time that Gabe would be born with a heart defect. There ended up being complications with the delivery and ended in an emergency c-section. The doctors and nurses whisked Sherah and her husband away to deliver the baby as quickly as possible. On top of being scared for Sherah, her husband and their sweet boy, I was disappointed I wouldn't get the photos she was so hoping to have. Thankfully, the nurse brought me in minutes after Gabe entered the world and I was able to photograph his initial meeting with his mom and dad, the moment when his grandparents and great-grandparents, aunts and uncles first laid eyes on him and later in the NICU. Sherah has told me many times how much she cherishes those photos because it was a long time before she got to see and hold her new baby. Gabe spent some time in the hospital including having open heart surgery but is now a happy healthy growing baby. That definitely tops my memorable moments, I can't think of a higher honor than being there as a mom welcomes her baby in to the world. LIM: How have your children inspired you? CARA: My girls inspire me every day to be a better person and better photographer. I know how fast time goes and how much my girls have grown over the years and how important it is to capture not only your children as they grow but to capture their little personalities and to capture families as a whole. It's so important to me to catch families interacting, laughing, hugging and loving on each other because those are the special things we do everyday that we want to remember later when they are grown. LIM: Tell me about one of your worst mommy moments or funniest "mom-fail". CARA: Oh where do I begin? One moment that sticks out in my mind is the first trip to Target that I took with both girls alone. Ella was a newborn and Reese was 4. Shortly after we got there, Ella was hungry. We snuck off to the dressing room so I could feed her. It was looking like things were going OK, Reese was going to sit and look at my phone to stay occupied. Then she announced that she had to potty and could not wait! So, I had to stop feeding the hungry newborn, who was now screaming and rush to the opposite side of the store with my 4 year old who is about to have an accident. We made it to the bathroom with Ella wailing in hunger, poor girl. We eventually made it back to the dressing room for her feeding and finished our shopping trip. Since then, we now have thousands of successful trips to Target under our belt. LIM: Share one moment of motherhood you are most proud of. CARA: The moments that I have been most proud as a mom are when my daughter who is 6, has spoken about her love for Jesus and our moments when we pray with her before bed and you can see her caring spirit when she wants to pray for others. There are many moments that I wonder how I'm doing as a mom or if I'm failing them in some way but then there are moments like that that I feel like my husband and I are doing something right. LIM: What would you tell your pre-child self about motherhood? CARA: I was never one of those people who always dreamed of being a mom or who wanted to have lots of kids but if I could go back I would tell myself how amazing and rewarding it is. That it is truly the greatest gift I could ever image and that I didn't know it was possible to love another person the way I love those two girls. As you can see, Cara loves what she does...both her role as photographer AND as mom. Embracing the journey of motherhood and still finding ways to incorporate your own passions into your life is what we are all about here at Louisville It Mom! 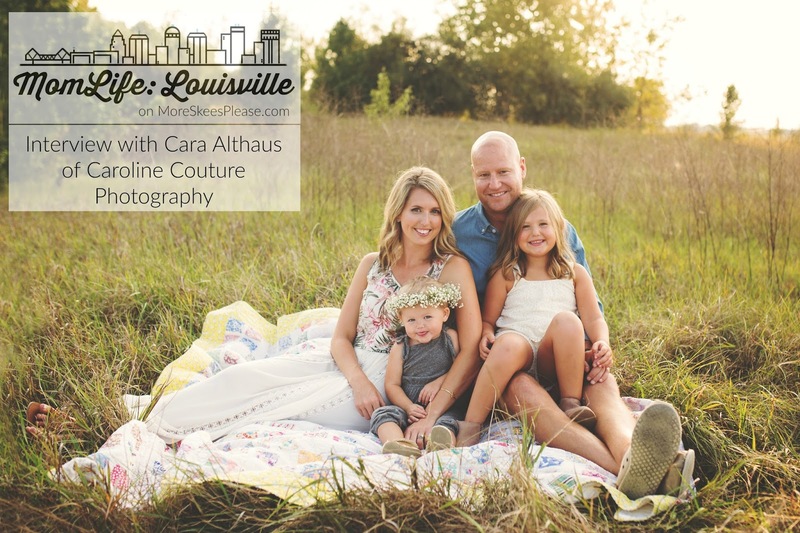 Head over to Caroline Couture's Facebook page to find out how to book your next photo session with Cara, and be sure to follow her on Instagram to check out more of her amazing work!